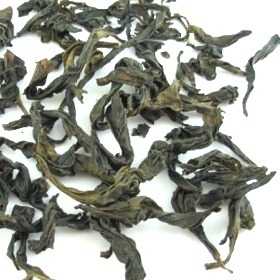 Tie Luo Han Wu Yi Oolong Tea, all but unknown abroad, is the cultivar responsible for one of the four most famous yan cha, the great "rock teas" grown on cliffs in the Wuyi Shan area of Northern Fujian. Legend tells that this tea was created by a powerful warrior monk with golden-bronze skin, hence the name Tie Luo Han, which means "Iron Warrior Monk". Full-bodied and supple, with gentle floral notes and the traditional long-lasting finish.